Address: 26 & 28, Lebuh Cintra, Georgetown, Penang, Malaysia. 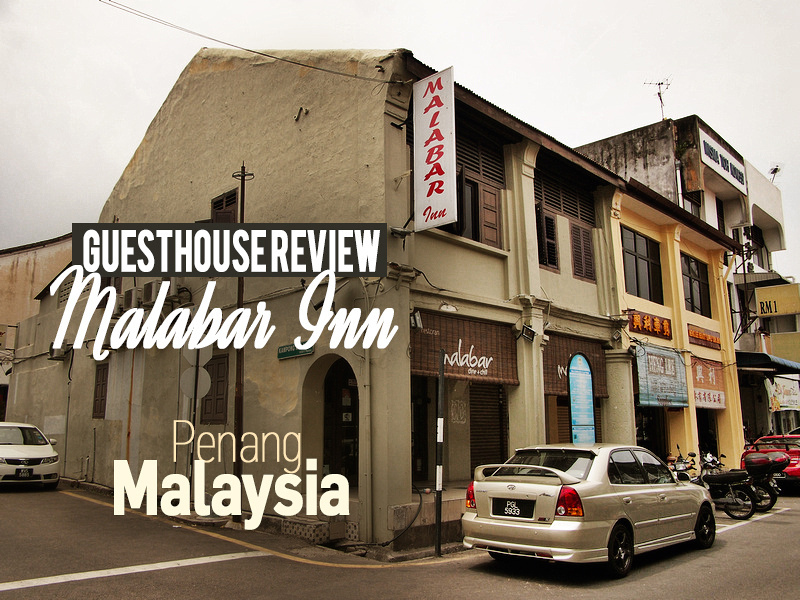 I stayed at the Malabar Inn in Georgetown, Penang. I booked online at the rate of $14.04 per night and booked it for its location in the historic area of Georgetown. 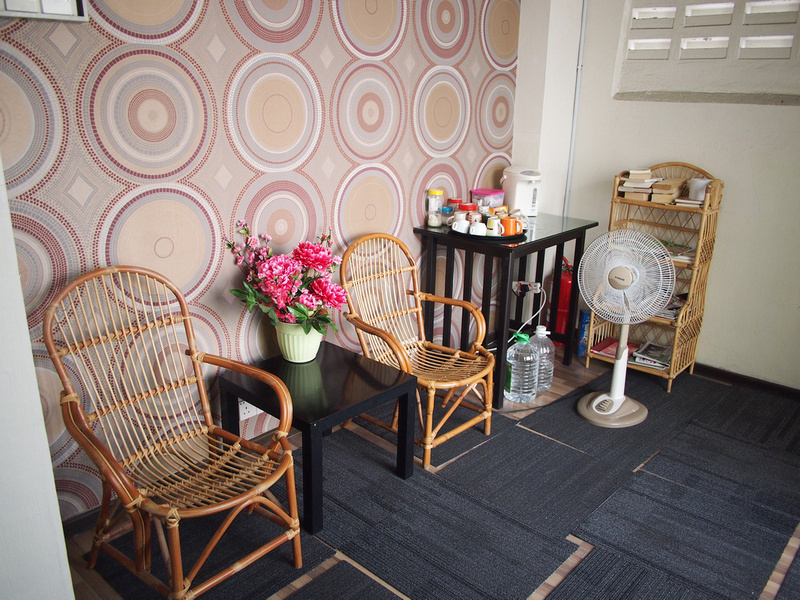 The guesthouse is in a typical shophouse that lines the streets of Georgetown and it has been reasonably well maintained with original window shutters on the top floor. I got a friendly welcome from the man at reception and was taken to my room upstairs. 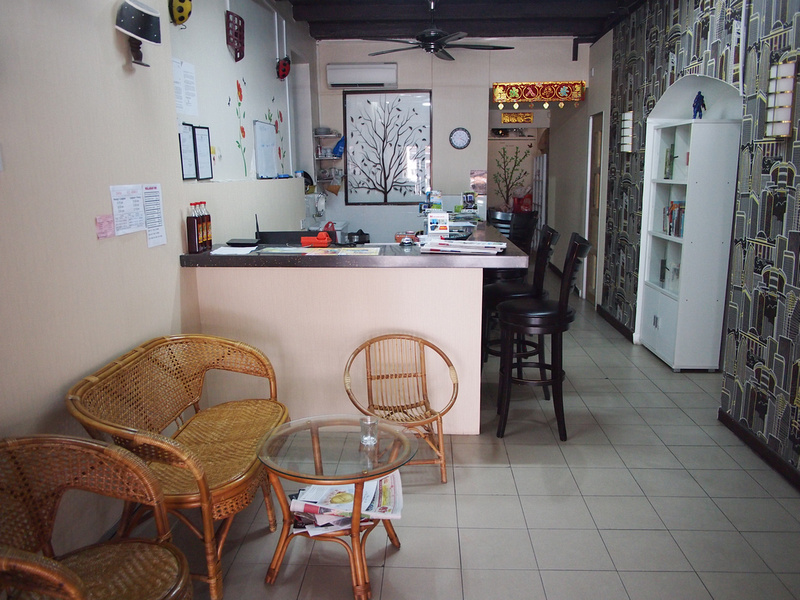 The rooms are typical budget guesthouse style of Malaysia, where the rooms are made from light partitioned walls. Originally it was one big space which now have partitioned rooms with no windows. My room had a comfortable single bed and a desk. There were some small hooks on the walls but they could have used some bigger ones. Amazingly there were four power outlets in the room, though you will still need a powerstrip if you don’t have UK-style pins on your electrical cables. The room had an air conditioner and extraction fan. 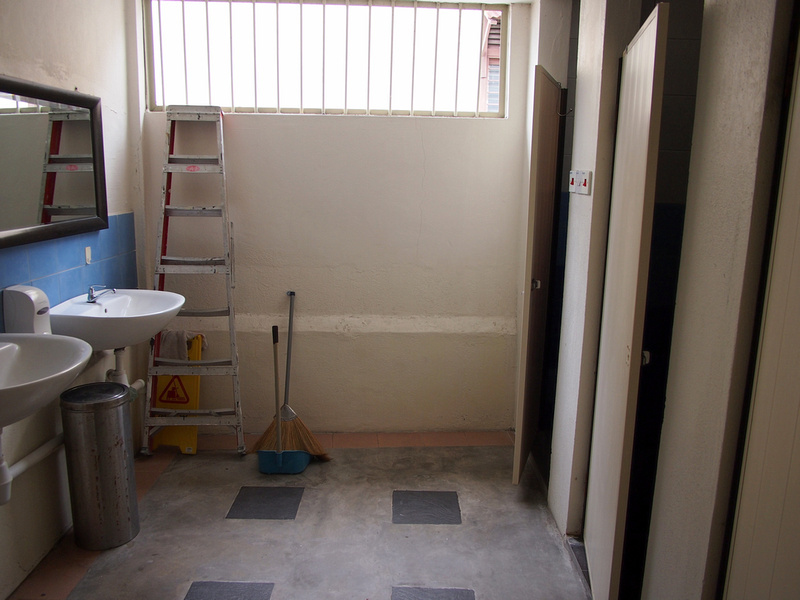 The shared bathroom was clean and orderly. being next to a big window kept it fresh and the stalls were clean. There is a balcony upstairs for smokers and a small area where you can make free tea and coffee. Overall this was a decent budget guesthouse in Georgetown. If you are a backpacker on a budget and are looking for a clean and simple private room then this does the job. 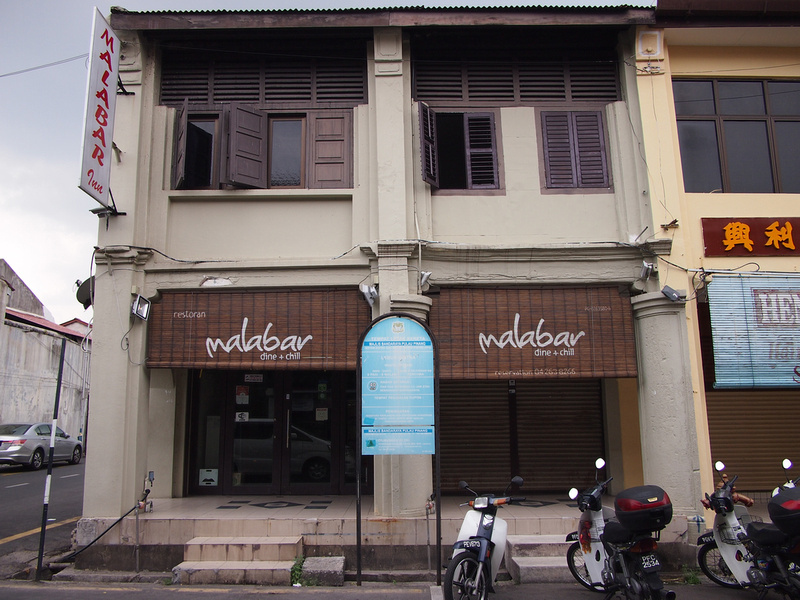 Book the Malabar Inn online or search for more hotels in Penang. For newcomers, read this guide on where to stay in Penang.